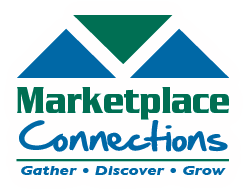 Marketplace Connections exists to foster a network among professionals from around their city and ultimately around the world. We help foster Good Company, Great Conversation, and Inspiring Interaction. We connect around universal values, motivating us to live and work with the utmost integrity. We connect around authentic conversations stemming from struggles and joys experienced in the workplace. We connect around networking, believing that our time together is valuable for growing our businesses. We connect around groups, seeking to learn and grow in community. We connect around God, honoring the spiritual component of life and drawing strength from our Creator. We are professionals doing life together. Making a difference in the marketplace! If you are interested in joining a small group please email us.